I drew in the seagulls the way she used to draw them when she was little. Actually even the whale reminds me of her early art. Thanks for stopping by and I wish you a wonderful day. Until next time…. Hi Crafty Friends! 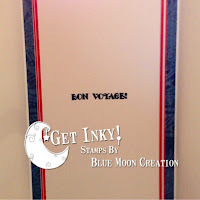 Thia here from Get Inky! Stamps by Blue Moon Creation with another post as Guest Designer for Crafty Card Gallery. 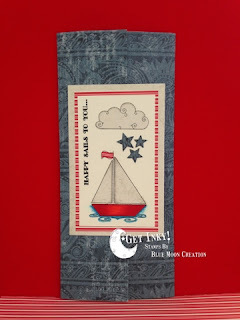 This months challenge was water, so I decided to use my BRAND NEW Sailboat Set and Whimsical Moon and Stars Set that will be released NEXT MONTH!!! Both sets are fun and versatile. This card is a trifold card, that fits inside a business size envelope, which makes it even more unique! 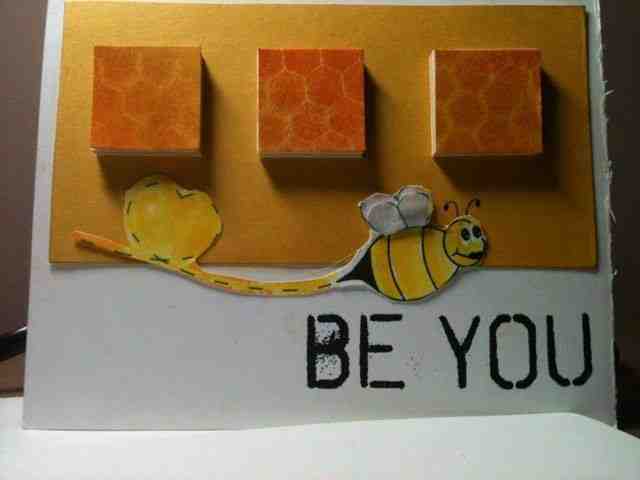 The sentiment on this second fold was from a stamp that I formed into the wave on my acrylic block. How neat is that? I love that the stamps can be used like this! on my website or at my Etsy Shop. This week over at Get Inky! Challenge, the theme is Red, White, and Blue…so come link your red, white, and blue projects up with us, we’d love to see them! One Super Inky! Winner will receive a sample set of stamps, and the Top 3 Winners will receive a FREE Digi Stamp of their choice. 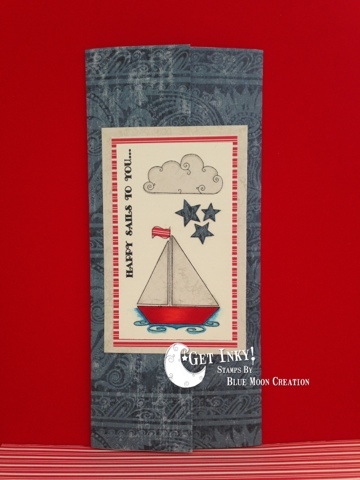 Crafty Card Gallery App…the most recent update is now available! If you don’t have the app yet, it’s a great app! Lots of inspiration to be found there when your Mojo go goes! 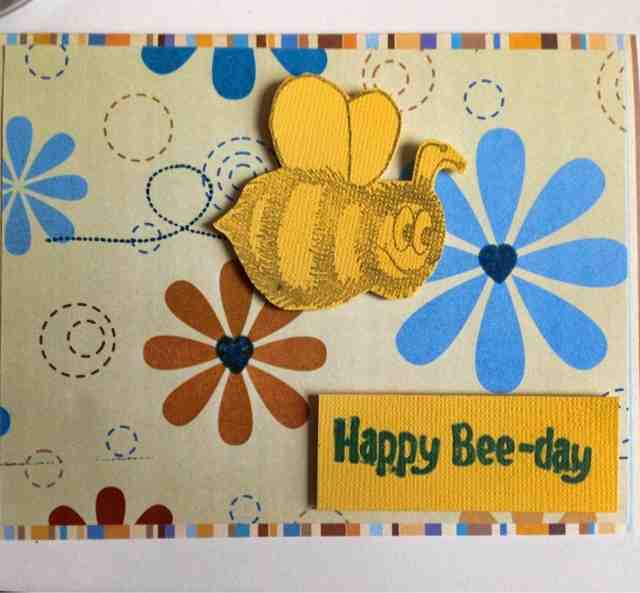 Check out our really cool cards, from this months challenge – Crafty Card Gallery Design Team. The theme is water….anything goes. For my card, I chose to do watercoloring using tim holtz distress markers. These markers are a really good tool. It’s a unique and fun way to blend colors. Hop on over to my blog for more details on my card and get a closer look at all the cool gadgets and gears I used. Water coloring is one of my most favorite things to do on cards, so it worked in very well when the design team were asked to include ‘water’ on our cards for this month’s DT challenge. 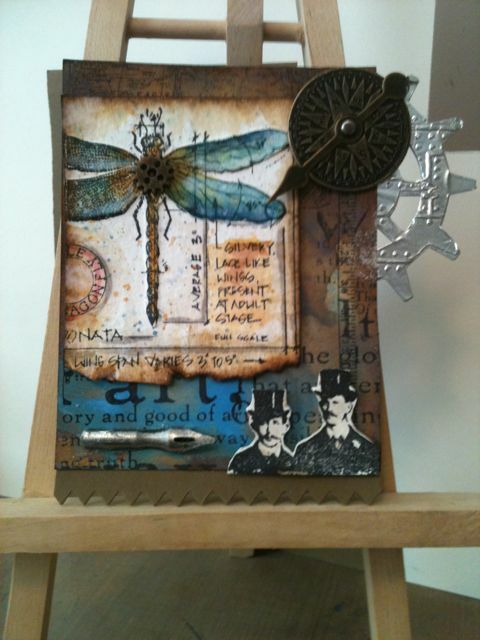 For this card, I colored with Tim Holtz Distress Inks. Using an aquapen makes the distress inks go on so much better, and they generally look more evenly colored. For this challenge we we’re asked to use: Water, so it could be water colors, a drink, a pool, a lake, blue… to be featured on your card. When we purchased this we thought it was a digi’ but instead it was clip art. We tried to do multiple features with this but were unable to & ended up cutting it out by hand. It took quite a while as I’m a perfectionist!! We’re happy with how it turned out & our duck is quite cute splashing in all those blue raindrops! Welcome to the June Challenge! I love doing these challenges – I usually send everyone random stuff, and they make crafting magic and create these amazing cards! 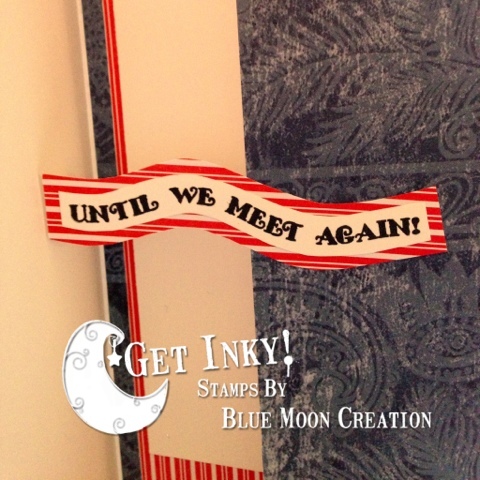 This time our challenge was sponsored by Thia of Get Inky! I had the pleasure of meeting Thia in January at CHA (we were Facebook friends & this was our first real meeting). It has been very exciting seeing her launch her line of stamps and Digis! I’m so happy for her!!! Not too many – just use at least one image provided by Thia…. Please comment on your favorite card… I will give away a free digital copy of Creations by Crafty Card Gallery to a random commenter. 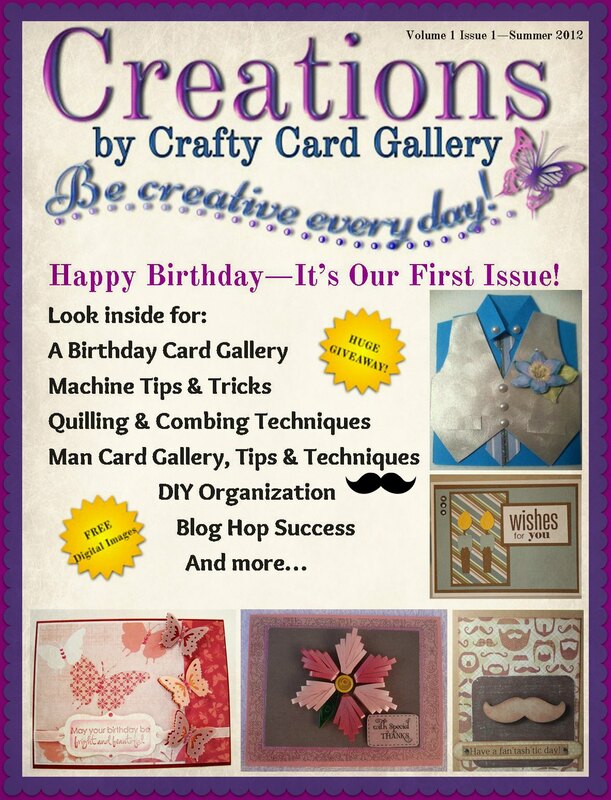 Please be sure to go visit these talented crafters blogs, too! They’re amazing! Thanks so much for visiting! Great job designers! Thank you Thia for sponsoring!! !